Erin Taormino is a talented woman. She is also fierce, hard-working and doing a fantastic job being a new mother. You might have heard of her name from the popular Netflix documentary, Down the Fence. In the film, you can watch Erin and her husband, Anthony, during their first year with their own business. Before we get into that, let’s go back a few years. Taormino grew up showing 4-H, open circuits and eventually the AQHA all-around events. She was a dedicated youth and rode hard until her final year at the All-American Quarter Horse Congress. She sold her youth horse and packed up for Texas. The decision to be on their own has been stressful, but very rewarding for Taormino. The actual process of starting out was full of long hours and hard work. Female trainers are the minority in the equine industry. It’s not necessarily always a bad thing. Taormino has learned and adjusted accordingly. She believes respect is vital in being equal. Taormino was the 2016 Reserve Open Champion at the NRCHA Snaffle Bit Futurity. This is an amazing accomplishment and is her biggest in the show pen so far. The journey to that moment took a lot of bravery and overcoming many obstacles. Having a film crew follow her around 24/7 was a completely new experience for Taormino. It was crazy and intimidating, but the publicity from the movie made it all worth it. She was ecstatic to be a part of a movie showing everyone how great the cow horse industry is. 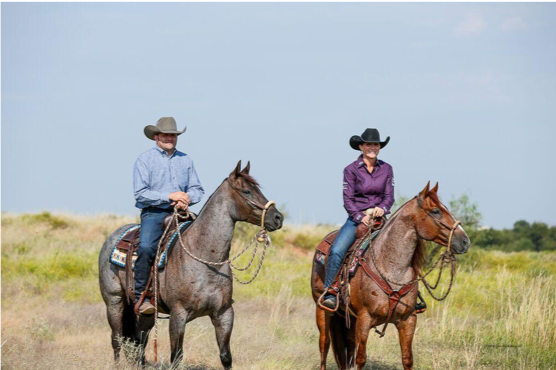 Taormino met Matt and Amanda Kimes through friends at the 2015 NRCHA Snaffle Bit Futurity. She was ready to join the team at their initial meeting and is thrilled to be a part of the team. The Alex and Francesca are Taormino’s top jeans. She wears them just about every day and loves how comfortable they are. “I had worn a couple pairs of Kimes before I met them,” Taormino said. “They were pretty new to me. We had a meeting and a great conversation. I loved them from the start and I have been hooked on them since. I have two favorites and I can’t decide between them. It depends on the day. I’m an Alex and Francesca fan all day long. I have a closet full of them. They are my go-to jeans. I show in them, and heck I wore them up until three days before I had my baby." 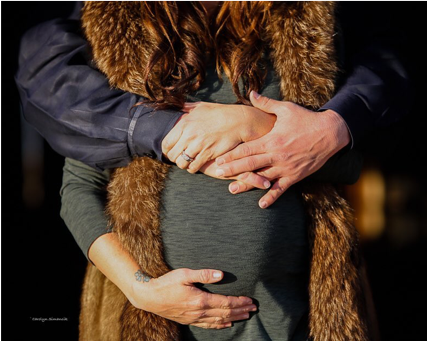 Taormino recently became a mother to a beautiful baby boy named Westley Anthony Taormino. The family is doing great and we couldn’t be prouder of everyone at Taormino Performance Horses. We want to congratulate Erin and Anthony and wish them the best of luck this year! Be sure to check out their site below!